The “internet of things” means different things to different people, from General Electric’s networked jet engines and power turbines and Cisco and IBM’s smart streetlights and parking systems, to smartphone-enabled home security, entertainment and medical devices. All of this will need an IT infrastructure to build on, from the chips that make devices “smart,” to the cloud computing platforms that make them all work together. That’s the goal that startup Ayla Networks has set for itself, and on Wednesday it landed a $14.5 million Series B round to test it out with an expanding list of partners. Ayla, founded in 2010, came out of stealth last summer with a $5.4 million Series A round, and a pretty impressive list of partners. On the chip side, Broadcom and STMicroelectronics had agreed to embed Ayla’s software on their latest generation of low-power Wi-Fi chipsets. Wednesday’s announcement added Murata Americas, NXP, and United Scientific Industrial Co. to its list of chipmaker partners. That also helps Ayla to manage the ebb and flow of connectivity and data in an ever-shifting sea of hot spots, sleeping cells and the like. “If you were to characterize the system, the thing you’re trying to connect in that space, it’s very fragmented -- but one thing we know is that if it’s going to join the internet of things, it’s going to need communications,” he said. Ayla’s biggest partner to date is Sina, owner of Weibo, China’s answer to Twitter, which has adopted the startup’s cloud platform for consumer devices. The partners are looking at lighting control, door and window monitors, and indoor air-quality management applications. But Ayla is definitely targeting North America, and is working with unnamed partners that Friedman said included some heavyweights in the field. How does Ayla’s approach blend in with all the other technology going into the internet of things? We’ve seen a number of home automation startups, such as Digi International, GreenWave Reality, iControl, Alarm.com, MiOS, Control4 (now public) and Nest (now Google), working with telecommunications and home security firms, home improvement and retail electronics stores, and of course, countless utility pilot projects. As for Cisco, Friedman declined to say much, beyond the fact that the networking giant was coming on board as a strategic investor. Cisco has internet-of-things projects across the world, and is often collaborating quietly with any number of technology providers to make them work more smoothly. 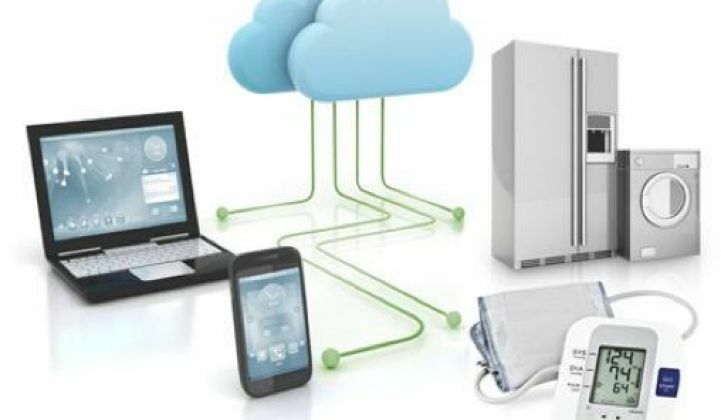 Other major players like Honeywell, GE and Panasonic are designing their own networked device cloud platforms.